It’s a Saturday and I’m enjoying a slow day of laundry and cleaning while I pack a few more boxes for our upcoming move. 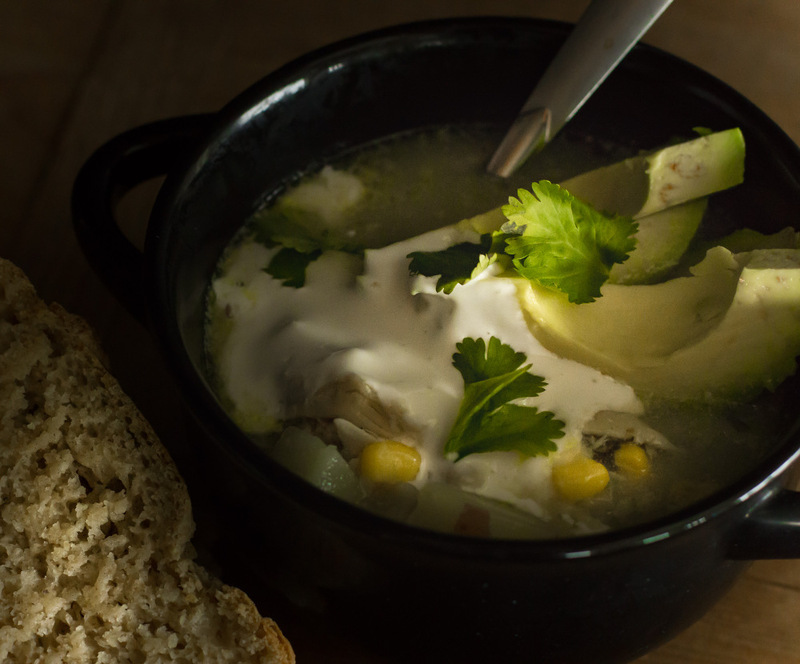 Today I tried a soup from Beatrice Ojakangus’s book “The Bread and Soup Cookbook”. It’s dumping snow outside so soup hits the spot. All I can say is take the extra effort to find guascas. Dried basil can be used as a substitute, but it definitely wouldn’t be the same. I ordered mine off of Amazon because we don’t have anything like that in my small town. Enjoy! In a heavy pot, combine chicken, sweet potato, onion, and garlic with olive oil. Saute for a few minutes until the onion starts to brown, then add chicken broth. Boil for 30 minutes until the chicken is cooked. Pull the chicken out of the pot and shred it. Return the chicken to the pot and add the potatoes, corn, guascas, and cumin. Cover and cook until the potatoes are cooked. Reduce heat to low and stir in the yogurt. Scoop into a bowl and garnish how you wish.